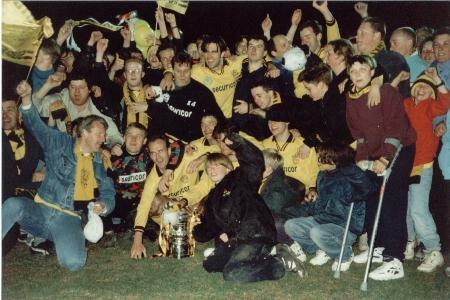 Fans swamp the victorious U's after having beaten Boreham Wood 4-3 on penalties. Joff Vansittart and John Ugbah. 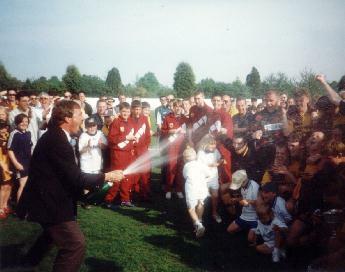 game of the season against Basingstoke. 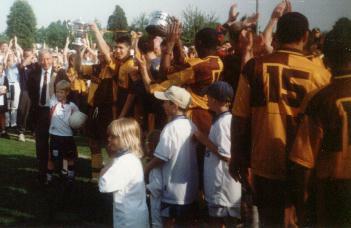 Andy Riley holds aloft the Cup, partially obscured by Nassim Akrour, 15 is Francis Vines. 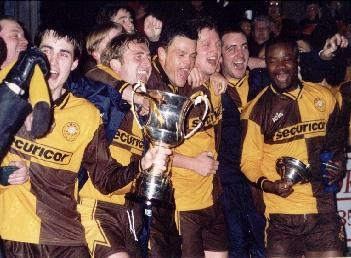 John Rains celebrates the completion of a league and cup 'double' with his victorious U's side. 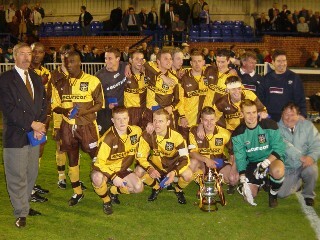 United, 2-1 winners over Kingstonian, pose for a group photo with the Surrey Senior Cup. 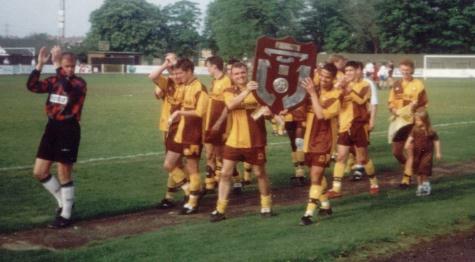 The League Champions pose with the trophies. More photos here. The League Champions raise the trophy. More photos here.